Filson Travel Kit. 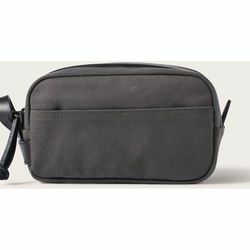 Keep essentials secure and organized with the Rugged Twill Travel Kit. It's fully lined with waterproof nylon so you can venture with confidence. Outfitted with a Bridle Leather side handle and a rustproof brass zipper.